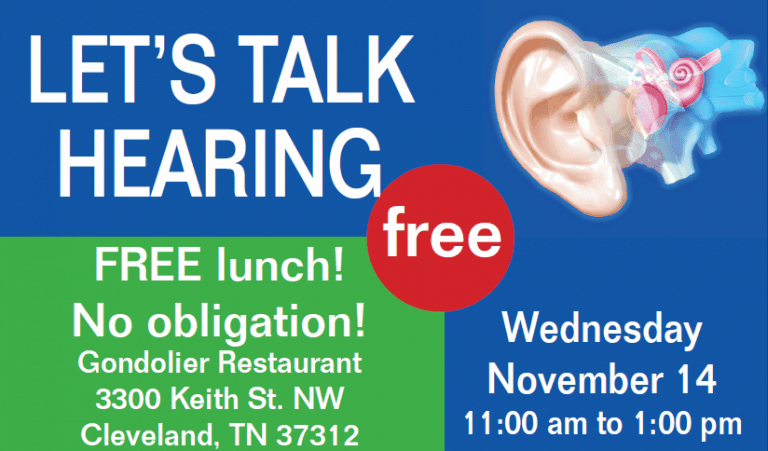 Call ahead to our office – 423-641-0956 – to reserve your set of hearing aids to try during lunch. Also, RSVP for the FREE Lunch! The positive effects that improved hearing can have on your life. You’ll also have the opportunity to listen to a representative from Unitron, one of the country’s leading hearing aid manufacturers as they shows us some of the latest hearing aids and accessories. All attendees are eligible to test a pair of Unitron hearing aids during the event. Hearing aids do not restore natural hearing. Experiences may differ based in severity of hearing loss and the ability to amplification. *Hearing screening is not a medical exam. Screening is to determine if you are a candidate for a hearing aid.